The family are all out, so I sat down to watch an episode of Black Sails - a series set in the age of pirates. As I nursed my glass of Talisker 10 I could smell the tared ropes on the ships in the sun, I could taste the salt on my lips... Enough of the dramatics. 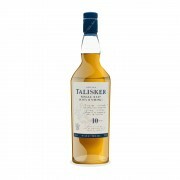 I have a soft spot for Talisker 10 - so for my first ever review, here are some of my thoughts and impressions: This bottle has been open for nearly 6 months and is about half way through. Nose: It is old but new, there is a certain fustiness that I love. Old leather and dust, old books maybe?. But also a certain sharpness and freshness, some sort of summer fruit, apple. It has a richness and depth too, there is a dark sweetness like treacle, and some dried fruits - figs. There is something nutty too, walnut I'll say. Of course, this is backed up with a certain mineral type smoke - it makes me think of a cold campfire made from driftwood on the beach - wisps of cold smoke - it makes me think of when I sweep out the chimney - slightly acrid. I'm still mystified how it can smell of the sea, the seaweed (some would say iodine) isn't overpowering but gives it some strength of backbone. Palate: first touch on the tip of the tongue brings a delightful sweetness, I've read orange - I suppose so. As it rolls back over the tongue it immediately turns sour (in a good way) - I think it goes with the saltiness. Then, spreading towards the sides the pepper or chili heat hits and lingers. The tingle is not alcohol burn, it really is like chili pepper.Then the fustiness from the nose returns - leather, pipe tobacco, dark and semi-sweet. There is something savoury about it - I read people describing smoked meats in reviews - maybe it's something like that? It's vegetal, it has a certain earthiness to it that I love - it feels connected to the elements somehow. Finish: The warmth from the pepper/chili lingers. I really enjoy the combo of leather, salt, and peat that remain for what seems like a long time. There's that earthiness again with the cold smoke. It turns slightly sour as the finish dissipates. In 2014 we relocated our family (my wife and 2 kids) from New Zealand to the South East of England. It was a family adventure to experience life in another part of the world - but due to unforseen circumstances, we returned home 18 months later. Unfortunately, on a single (teachers) income, we weren't able to make the most of the proximity of the UK for travel. We did, however, organise some house sitting in the UK via a website. One house we were going to look after was in Dornee, right by Eilean Donan Castle, the gateway to the Isle of Skye. Sadly, the owners plans changed and we weren't required. I missed my one and only chance to visit the Talisker distillery and the Isle of Skye. 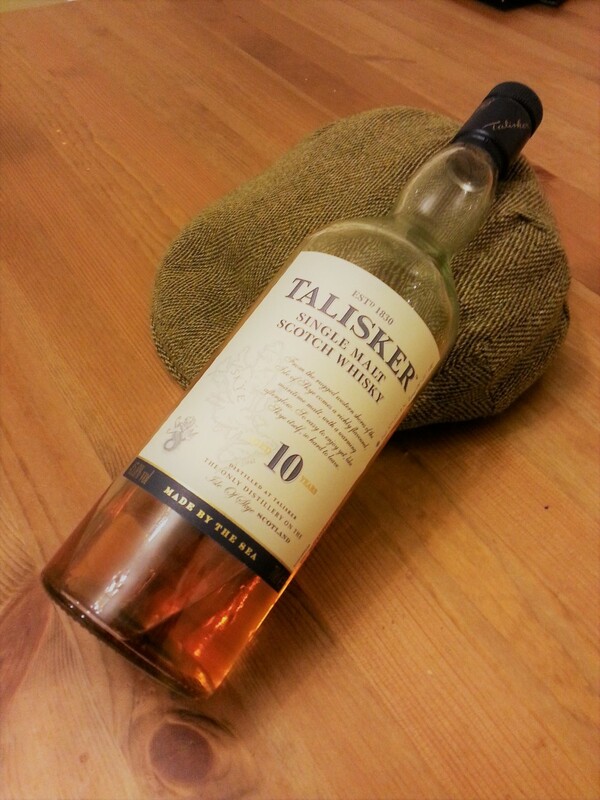 So, to take me there, I immerse myself in a glass of tasilker and smell the rugged, rocky Scottish coastline. awesome, this is my 'daily dram.' just a great balance of smokey, salty and sweet. have you tried the 57North yet? @casualtorture Yes, despite the added colour and mass production, it is a fantastic whisky for its price (I can buy it here in NZ for $80 NZD which is about $55 USD). The 57 North is definitely on my list to try. I've had the distillers edition which is a nice change up and has more of that sherry influence, but it loses something of the character that the 10 Year has in spades. @Hewie , great, interesting review.